Outgoing Industry Super Australia chairman Peter Collins has challenged a future Shorten government to make asset recycling using superannuation money a priority, as the $632 billion sector frets about running out of good investment opportunities. Money is gushing into industry funds, which are non-profit and jointly run by unions and employers, after the banking royal commission, leaving them with a big challenge: where to put it. Hopes that Australian super funds could invest in Donald Trump’s proposed $US1 trillion splurge on American infrastructure have moderated as projects have failed to materialise. Super savers therefore face the prospect of lower returns unless more opportunities become available. Mr Collins, a former Liberal NSW treasurer, said the hunt for new assets and asset classes was “urgent”. “It’s the challenge to Bill Shorten,” he said. “The flow of money into industry super funds is at such a rate that the investible products going onto the Australian market just can’t keep up. “Ultimately we will run out of projects to invest in. “How close we are to that point depends on the will and timetable that state governments give themselves. Mr Collins will vacate the ISA chairmanship next week, when former union boss and Labor minister Greg Combet will take over. It has been unusual for a Liberal to chair a group of super funds so fiercely aligned with the other side of politics. He concedes he lost friends when he took the post. “I’m very conscious of the fact that I’m the first Liberal to be allowed near this space and it’s been a tremendous honour,” he said. Mr Collins’ tenure over the past five-and-a-half years has also come at an inflection point for super and, by extension, the economy. In the June quarter of this year industry funds’ asset holdings exceeded retail funds for the first time – $632 billion to $622 billion. At the same time, the royal commission has resulted in a $5 billion bump for AustralianSuper, Hostplus and Cbus. Industry funds have sought out unlisted infrastructure to round out their portfolios. Under asset-recycling schemes, governments lease existing infrastructure assets to private investors and use the proceeds to develop new infrastructure projects. In 2013, the federal Coalition launched a $5 billion asset recycling program that offered state and territory governments a 15 per cent premium on top of recycled capital. 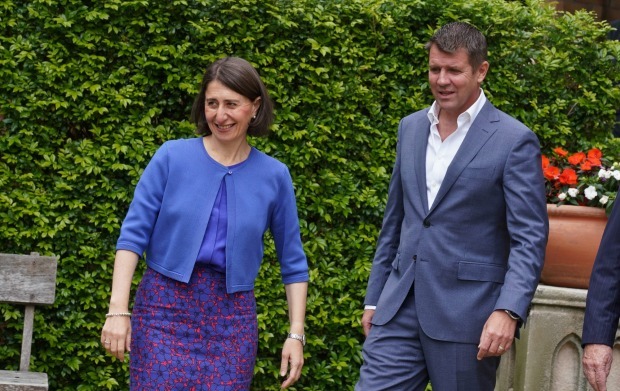 Between 2013 and 2015, NSW leased two ports, a desalination plant and an electricity distribution network to super fund consortia for close to $15 billion. The federal fund has been closed, having allocated $3.3 billion to NSW, Victoria, the NT and ACT. Mr Collins praised Mike Baird and Gladys Berejiklian in NSW for setting ideology aside to engage industry funds. “Now that industry and public sector funds dominate, the time has come to harness this Australian-made opportunity for nation building,” Mr Collins said. “Instead of the old prejudices – Labor wary of asset recycling, Liberals distrustful of any union link – the exceptional offer staring all Australian governments in the face must be taken up to overcome our infrastructure deficit. “Ideology and old beliefs – not founded in fact – are holding us back. The time is long overdue for governments and super funds to sit down regularly and to talk pragmatically about infrastructure investment. Mr Collins, who will continue as deputy chairman of ISA and a director of Hostplus, confirmed the contentious ISA-funded fox and henhouse television advertisements were unlikely to make a return because they had “served their purpose”. The ads depicted big banks as foxes descending on a chicken coop, a proxy for people’s retirement savings. The tag line was “banks aren’t super”. “The royal commission has demonstrated beyond anyone’s expectations that the fox and henhouse campaign if anything was a complete understatement,” Mr Collins said. Earlier this year, Mr Collins was accused of muzzling free speech when he wrote to the Business of Council of Australia and members to complain about then BCA executive Andrew Bragg, who described donations to unions by industry funds as the “great dirty secret” of financial services. Asked if that letter was an implicit threat that the might of industry super would be brought to bear on the business community, Mr Collins said “no”. “We were making the point that there’s plenty to debate but we should have that debate on a factual basis,” he said. In a pre-selection vote last weekend Mr Bragg was advanced to a winnable spot on the Coalition senate ticket for NSW. At the upcoming ALP National Conference, the CFMEU and TWU will bring a resolution to “turf banks out of superannuation”. But ISA’s position is softer. “ISA’s current position is we do not support a blanket ban and a legislative requirement to separate banking and super,” Mr Collins said.